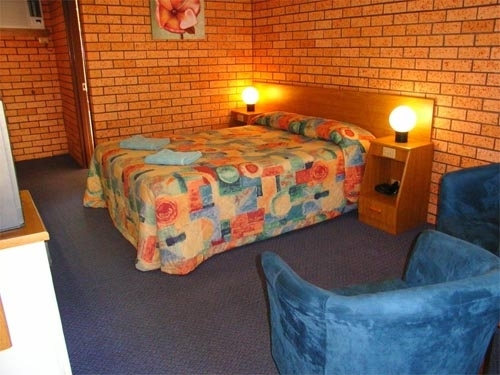 Come and Stay at the Quietest, Friendliest and Cleanest Motel in Coffs Harbour. The Royal Palms specialises in good old fashioned customer service. We are situated in a quiet area, away from the bustle & noise of the Pacific Highway, & just 300m from the golden Coffs harbour beaches. Only minutes from clubs, cinema, restaraunts & major shopping centre. Our 3&1/2 star motel has 30 well appointed rooms which are fully air conditioned & equipped with all modern conveniences including free Cable Television & direct link Internet Connection. Our 1 & 2 bedroom suites will appeal to all travellers who are looking for a quiet, restful holiday. 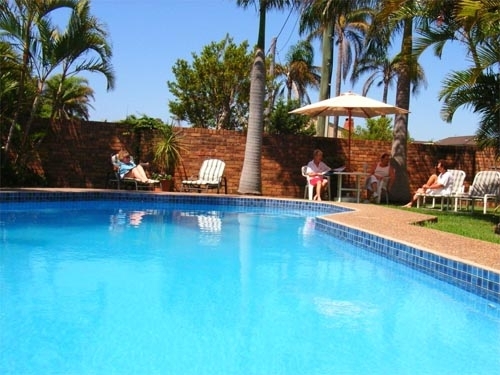 We specialise in accommodating overnighters or weekly stays.Laze around our large pool & spa & enjoy our bbq facilities, away from the stresses of your normal hectic lifestyle.